Indian-American Anil Kumar, a former director of consulting firm McKinsey, has pleaded guilty to fraud charges in the largest insider trading case in the Untied States' history, admitting that he got $1 million for giving secret information to its alleged ringleader Raj Rajaratnam. "From 2003 through 2009, Kumar and Rajaratnam, who met in the 1980s while they were both at the same business school, conspired to engage in insider trading," a statement from US Attorney Preet Bharara's office said. "Kumar received amounts ranging up to $1 million in certain years," it said. Kumar, 51, who left McKinsey after being put on indefinite leave, had been accused of providing insider information about McKinsey's clients, including acquisition of ATI Technologies Inc by Advanced Micro Devices Inc.
On Wednesday, prosecutors claimed that Rajaratnam made $19 million in illegal profits from the ATI tip-off but his lawyer John Dowd said that the news of ADM acquiring ATI was already public. Last week, Kumar waived his right to be indicted raising speculations that he would confess his alleged wrongdoings. 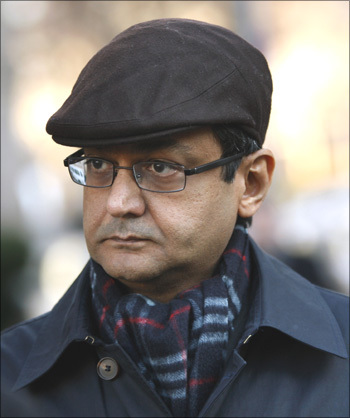 He pleaded guilty to conspiracy and securities fraud at a hearing before District Judge Denny Chin in Manhattan on Thursday, and Bharara said that he was cooperating with the investigation. "I understood the conduct was unlawful and constituted a breach of my fiduciary duty," Kumar told the judge. "Anil Kumar recognises the fact that he has committed a serious violation of the federal securities laws," Robert G Morvillo, his lawyer, said in a statement. On Wednesday, prosecutors also said that they will slap new charges against Rajaratnam, 52, after it was revealed that Sri-Lankan born billionaire earned $36 million from inside information, which is double the amount originally calculated. "The government now has evidence that Rajaratnam's illicit gains yielded profits that were at least twice as large as those previously alleged," assistant US attorney Joshua Klein wrote in the court complaint. Earlier, investigators estimated that Rajaratnam had made about $17 million from the illegal actions. In October, multibillionaire and Galleon Group founder, Rajaratnam, was charged in one of the country's largest insider-trading case. He received 13 charges -- four counts of conspiracy and eight counts of security fraud. Galleon Group is a hedge fund with up to $7 billion in assets under management. This is the first case to use authorised wiretaps and the investigators are still on the job. "People will probably ask just how pervasive is insider trading these days? Is this just the tip of the iceberg?" Bharara said, when the scandal broke. "We aim to find out." Since then the case has grown to involve 21 people out of which seven have pleaded guilty.